These Insane Feats Of Human Strength Will Make You Tired Just Thinking About Them! It’s no secret when forced into extreme circumstances the human body can do incredible things. But when circumstances are normal and people push their bodies, we call them crazy. Secretly though, we wonder if we can do those same things. Then we remember how much more relaxing it is to sit on the couch and watch TV, read a book, or go online and see these insane feats of strength and endurance. After all, you don’t want to stay awake for 80 straight hours to run 350 miles! This mild-mannered gentleman seems perfectly average until you see him pull a double-decker with his hair! 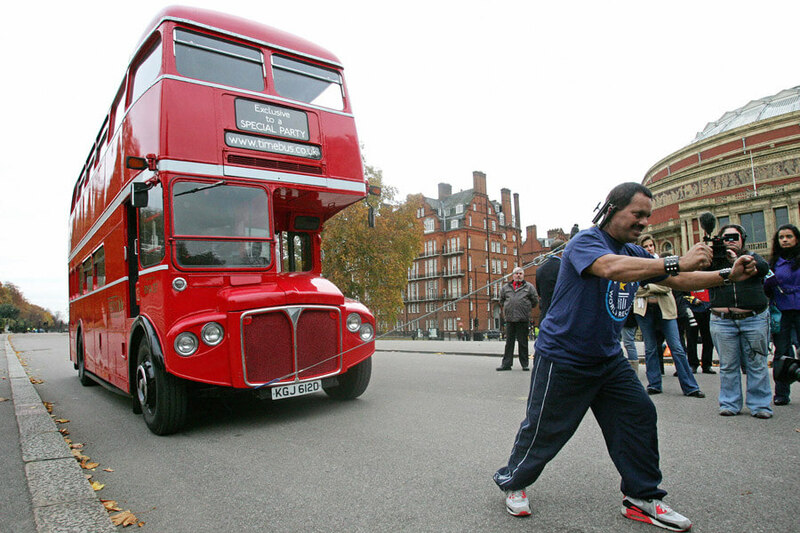 Manjit Singh set the Guinness World Record in 2009 on the streets of London. Attached the head of the bus to his hair, Singh pulled the seven-ton behemoth 69.5 feet. Asked how he pulled off the feat, the 59-year-old said, “It was painful, but it was worth it. I could only think about my legs and head and keeping on going.” To prepare for the event, Singh claims there was no training and no steroids in his shampoo. His power comes from his four kids, who think their dad is a real hero now! 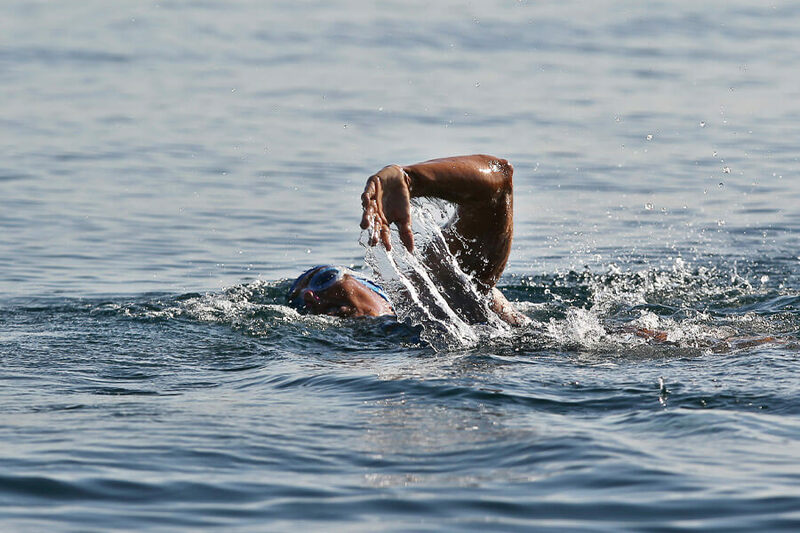 Diana Nyad was 64-years-old when she made history with her non-stop 110-mile swim. The crazy feat took 52 hours and 54 minutes with no breaks for sleeping or eating. Nyad’s trip from Cuba and Florida was her fourth attempt. She said after, “I can swim from Cuba to Florida, and I will swim from Cuba to Florida,” and refused to quit believing in herself. No one else believed in Nyad after her previous failed attempts, severely injuring her shoulder, nearly dying of exhaustion, and being attacked by a box jellyfish. She proved everyone wrong after swimming for three days through choppy currents and landing on the beach of Key West. If you think swimming builds strong arms, wait till you see what push-ups can do! In 1980, Japanese citizen Minoru Yoshida achieved the unbelievable when he did 10,507 consecutive push-ups. According to Guinness, the previous record was held by Charles Linster in 1965. His final count was 6,006 — nothing compared to Yoshida’s incredible arm-durance. No one has challenged Yoshida’s record for over 30 years. Instead, people compete to set records like “most push-ups in 24 hours.” That record, however, was established in 1933 by Charles Servizio and still stands at 46,001 today. This is one record that doesn’t stand a chance to fall anytime soon! Dana Kunze trained for his insane 172 high dive by jumping off 80-foot tall bridges. When the cops would come to arrest him, he would hide and find another bridge to jump off. 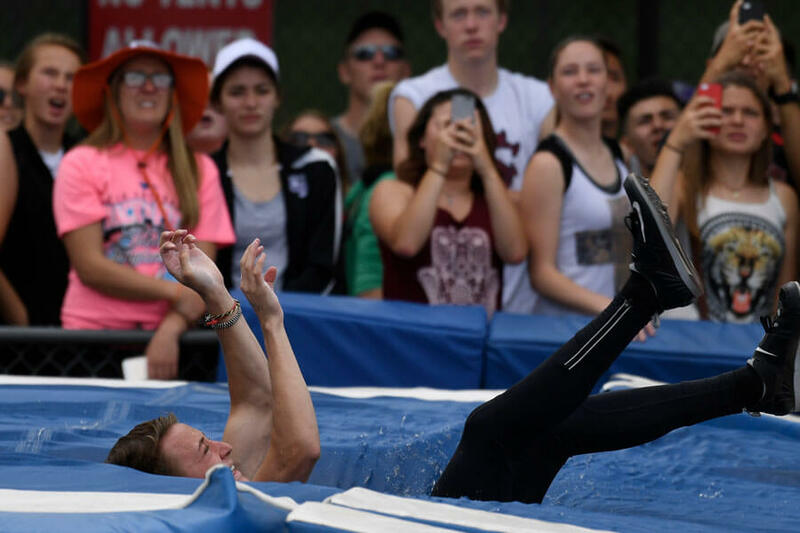 When Kunze finally attempted his dizzyingly high dive in public, the show went off without a hitch. He’s performed the dive in public seven times. Oliver Favre thought he would up the stakes in 1985 diving from 177-feet high. He barely survived, breaking his back. 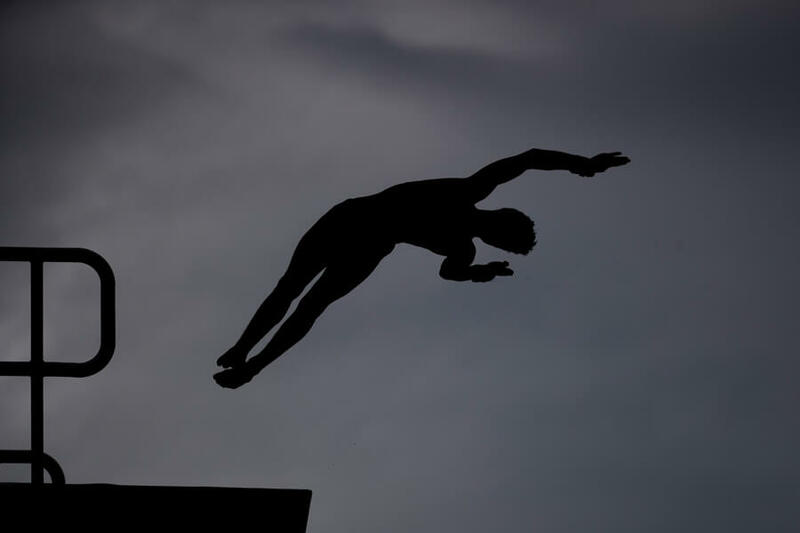 High diving is extreme, and the danger Kunze repeatedly put his body through is nothing short of spectacular. Kunze never outgrew his love for diving and now runs an entertainment company that puts on dive shows for a fair price. Living modestly in Dagestan Republic, Russia, 78-year-old Sakinat Hanapieva is unquestionably the world’s strongest grandmother. Known for ripping phone books in half and moving 600-pound containers of grain, she puts other power-lifting grandmothers to shame. She learned how strong she was a 10-year-old, moving heavy containers with ease. Since then she has made a show of her muscles and fantastic health. Sakinat has never reported health issues. Strength runs in her family too; her son holds the Guinness World Record for “most powerful jaws in the world.” Don’t get your hands too close! Runaway, just like Dean Kanzares did for 80 straight hours! 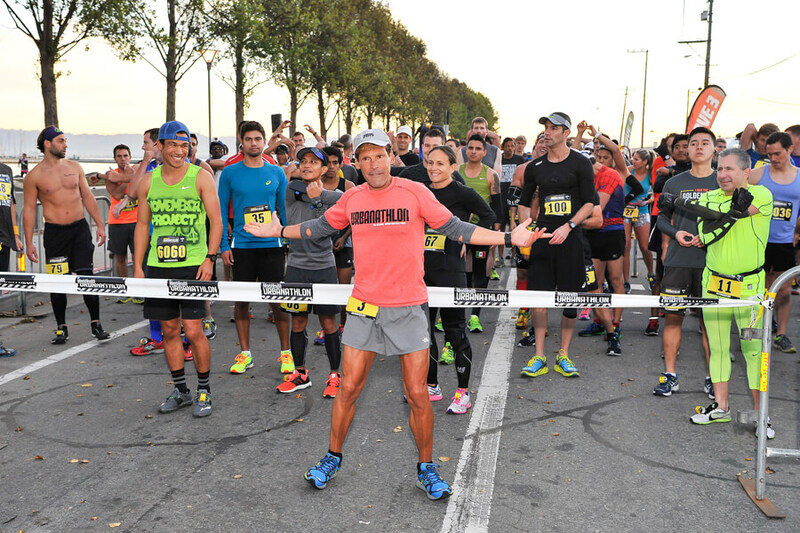 In October 2005, Dean Karnazes began his “ultra run” to see how far he could push his body. He found the answer after 80 hours and 44 minutes. Running for just over three days, Karnazes never stopped. On his journey, he drank nine gallons of fluid and consumed 40,000 calories. He also fought through sleep deprivation, roadside animal encounters, and high temperatures. For Kanzares it was all worth it. By pushing his body as far as humanly possible, he raised $10,000 for children’s organ transplants. What really inspired Kanzares to take up “ultra-running” was the desire to take control of his life back after a heavy night of binge drinking. Our next extreme person ran 366 marathons in 365 days for the same reason. 366 Marathons In 365 Days Sounds Exhausting! Diagnosed with multiple sclerosis at 41, Annette Fredskov decided she needed to control her life. While fighting her battle, Fredskov challenged herself to run 26 miles every day for a year. Her husband told her before she started that if anyone could do it, it was her. On her journey, Annette Fredskov ran through 20 pairs of shoes and severe muscle exhaustion. Averaging five hours per marathon, she took her challenge farther on the last day and ran for ten hours. By running 366 marathons in 365 days, Fredskov hopes to inspire others to chase their dreams to get through difficult times. 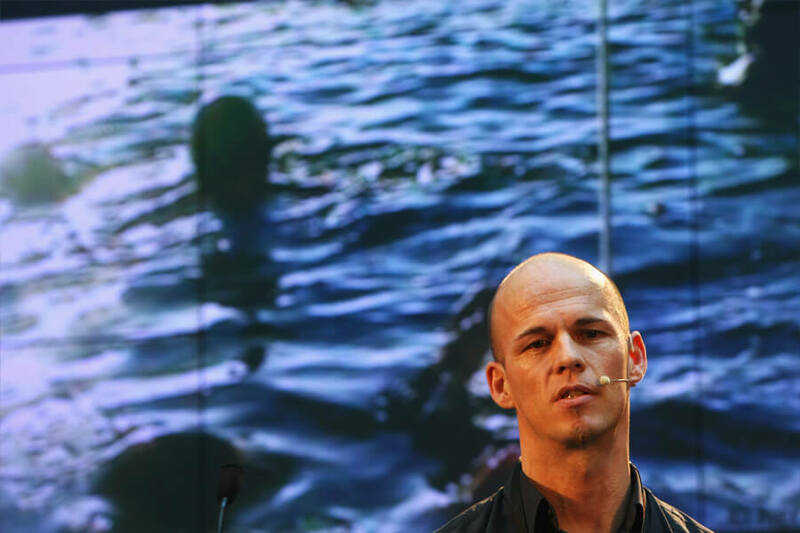 Herbert Nitsch almost died in 2012 setting the free dive record on one breath. Descending a near lightless 831 feet, Nitsch fell victim to severe decompression on his way back up. The condition caused multiple strokes and rescue divers had to save him. In the hospital, doctors told Nitsch he would be confined to a wheelchair and need to be taken care of the rest of his life. Not accepting his fate, Herbert Nitsch further pushed his body and recovered fully. He has returned to free-diving but says he probably won’t test his limits to such extremes anymore. Our next athletes were forced to test their limits. No tennis match should last four days! 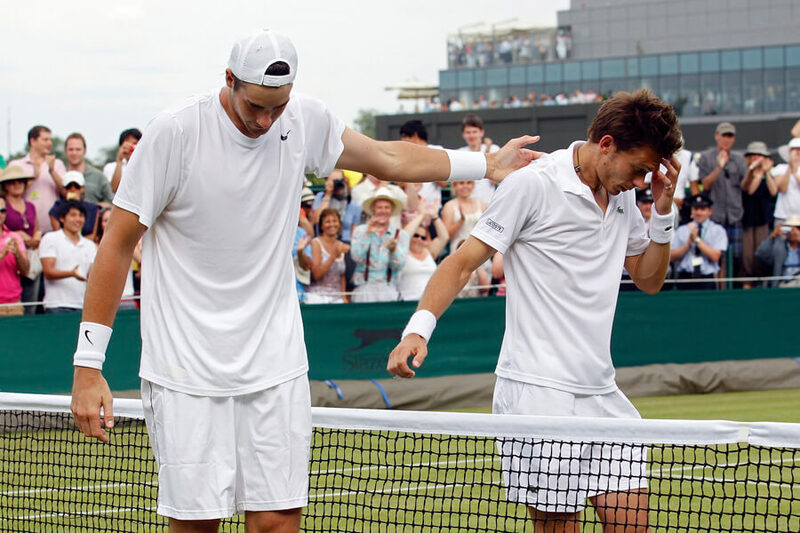 Pushing their bodies to severe levels of exhaustion, John Isner and Nicolas Mahut played each other in a tennis match that lasted 183 games. The five-day match was so exhausting the scoreboard couldn’t handle it and malfunctioned multiple times. Beginning on June 22 at 6:13 pm, the victory swing came on June 24 at 4:47 pm. For three days the men traded points back and forth, setting records for aces (215) and calories consumed; 40 bottles of water, three bananas, and 12 energy bars. The final score was 70-68, with Isner declaring victory. What’s even crazier is Isner wasn’t finished. The match was a part of Wimbledon’s opening round! As crazy as this is going to sound, John Evans holds the world record for balancing a car on his head. His neck must be bulging! 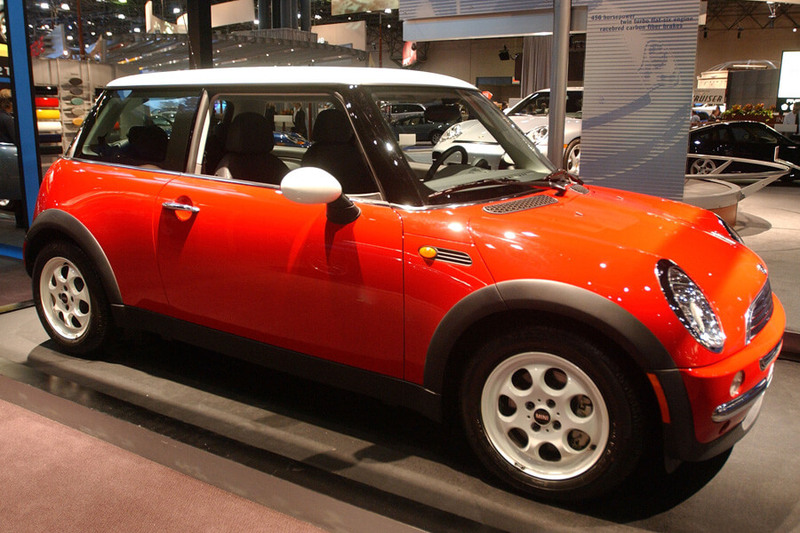 The strongman placed a Mini Cooper on his head in 1999 and balanced it for 33 seconds. The car was modified and “gutted” to weigh 352 pounds, but that’s still no laughing matter. When researchers at the University of Derby decided to study John Evans for superhuman abilities in 2013, they came away with surprising results. At 68-years-old, Evans had the bone density of a 20-year-old athlete. While most people see their bones get weaker with age, somehow Evans just kept growing. In 2016 Michael Moll set a record when he biked across Europe for 20 hours, cycling through six countries. 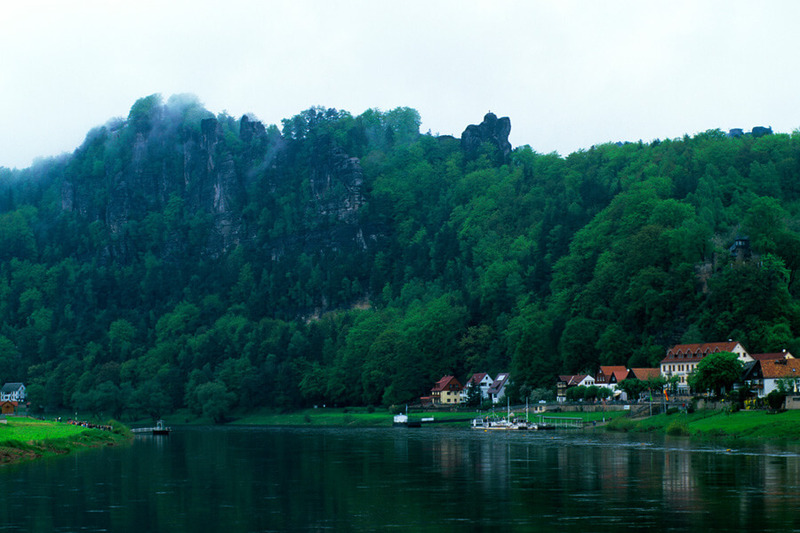 At the end of his journey, the German visited Switzerland, Liechtenstein, Austria, Germany, and France. Inspired by his passion for traveling, Moll quit his job in public service to embark on his adventures. Taking up bike traveling as a pseudo-career has led Moll to live a fascinating life. Terrified of flying, Moll spent three years in a motorhome exploring the world before becoming a biking enthusiast. No matter where he goes, he always has his trusty two-wheeler and camera ready. Hopefully, he backtracked his 20-hour journey when it was over and found time to relax. 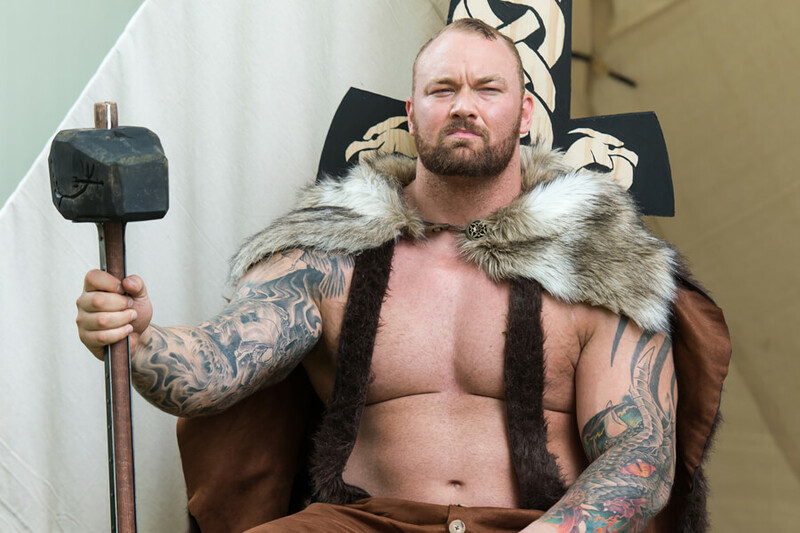 Known best as the Mountain on Game of Thrones, actor Hafthor Julius Bjornsson is also a world-renowned strongman. Seeing just how strong he was, Bjornsson broke a 1,000-year-old Viking record in 2015. And we’re not talking about a Minnesota Viking record! The incredible performance saw Bjornnson carry a 1,433-pound log on his back five steps. The Viking legend claims that the old record holder had a 10-meter long log placed on his back by 50 men. The Mountain didn’t need any help putting the massive log on his back, and celebrated like a real Viking afterward! As you’re about to see, some people prefer carrying other people instead of logs! On December 19, 2008, Aneta Florczyk let the world know she is not a woman to mess with. On national television, she picked up and tossed 12 friends in two minutes. Since setting the odd record, she has not been opposed. To prepare for the challenge Aneta did the obvious; threw people when they would let her. During her national performance, you can see her arms quake near the minute mark. With no option fail, she fought her body and won, proving, like so many before her, what strange heights the human body can reach. 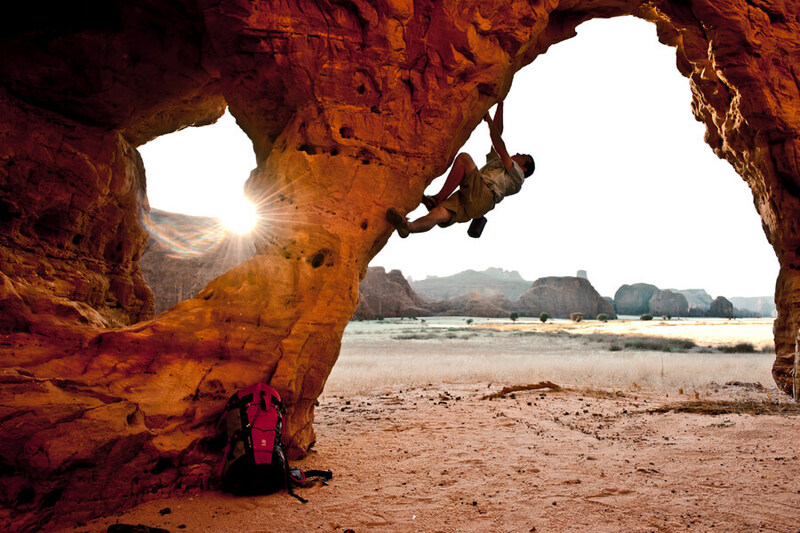 In 2012, Alex Honnold accomplished a feat that many before him attempted with no success. He climbed Half-Dome, El Capitan, and Mt. Watkins, without gear, in a death-defying 18 hours and 50 minutes. The speed climber set the Yosemite Triple Crown with his time but hopes to do it faster one day. If his practice numbers hold, he should smash his record. Ascending Half-Dome a few weeks later, Honnold recorded a time of one hour and 22 minutes. His previous time up the mountain face was two hours and 50 minutes. The scariest part of this whole thing is the lack of gear. One wrong move over the course of 19 hours and we’d be telling a much different story today. 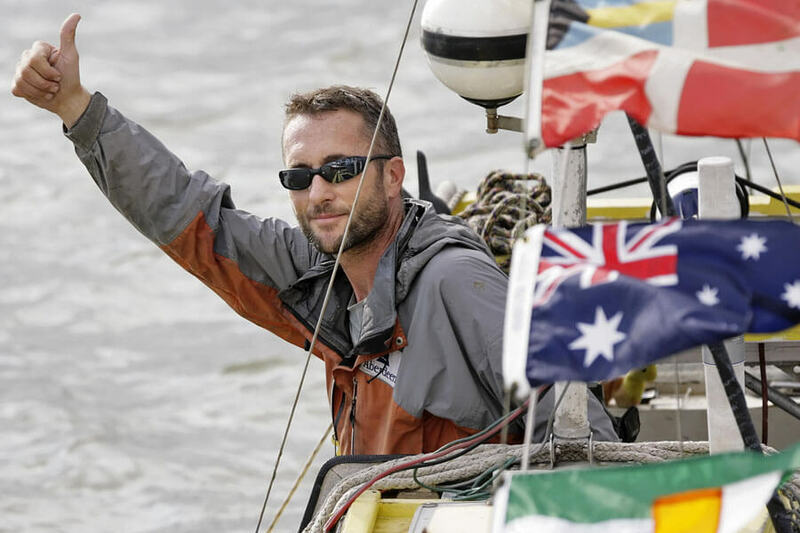 Convinced that he could make the impossible a reality, Jason Lewis set out in 1994 to circumnavigate the globe with power generated by him. One of the few feats left to accomplish in human history, Lewis and a friend set out on the journey together. The pedal boat they used was named Moksha and only had enough supplies to last a few months at sea. Starting in London, they made it to Miami and continued on roller blades. The trip took a nine-month hiatus when a drunk driver hit Jason and broker both his legs. When the journey continued and they made it to Hawaii, Jason’s partner quit. 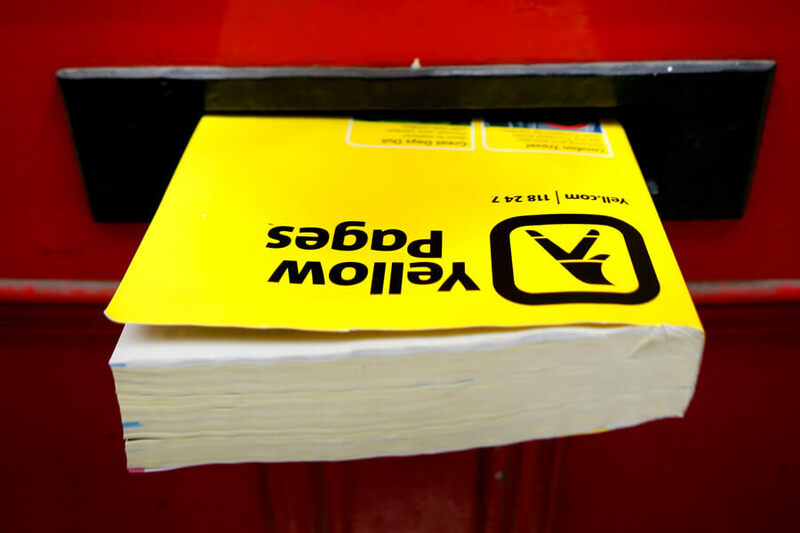 Thirteen years after departing London, Jason returned home, holding a singularly unique achievement. Our next feat of strength takes push-ups and raises the bar eight hours! Mao Weidong holds the world record for the longest plank ever. During a Men’s Health event in China in 2016, Meidong beat a slew of other contenders and planked for eight hours and one minute. The next closest planker was George Hood, who held his abs tight for seven hours and 40 minutes. To compare, the average person can hold a plank for about a minute. Mao, a 45-year-old police officer in China, can hold a plank long enough for 49 people. To show off, Weidong finished his dazzling display with a few push-ups. For some reason, Wim Hof loves to expose himself to dangerously low temperatures. The Dutch adventurer has made a living showing people how cold he can get. One time, while shirtless in the Arctic, Hof ran a marathon while the weather was a freezing 20 degrees Fahrenheit. Another time, he submerged himself in an ice bath for a record 44 minutes. Not afraid to get cold, Hof’s chilliest feat came in 2007 at the North Pole. For 72 minutes, the real Mr. Freeze survived the tundra wearing only shorts. The daredevil says he learned how to control his own body temperature long ago, practicing Tummo with monks in Tibet. 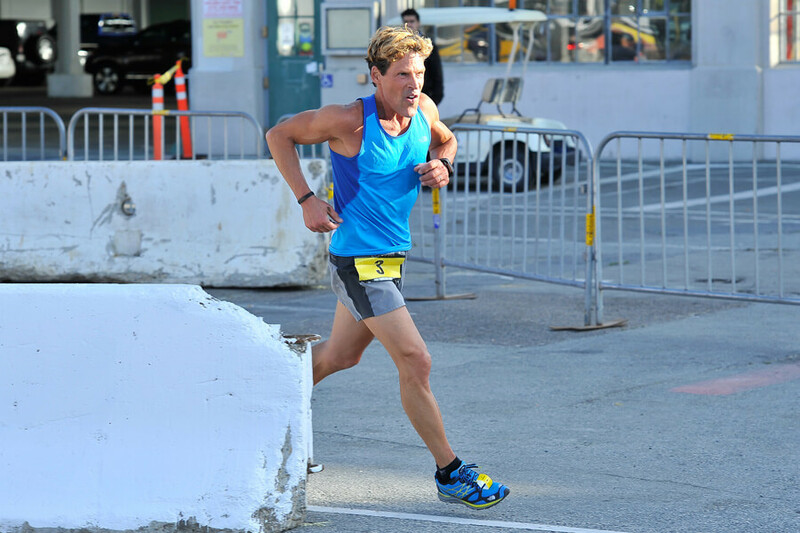 Dean Karnazes, the ultra-runner who ran for almost 81 hours straight also completed what is known as a 50/50/50. The goal is to run 50 marathons in 50 days in 50 states. Karnazes started his 50/50/50 on September 17, 2006, at the Lewis and Clark Marathon in St. Louis. 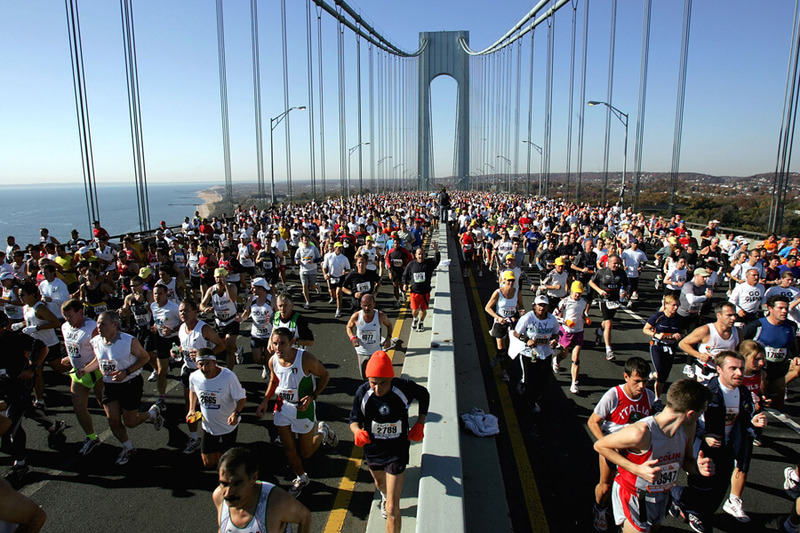 He ran his 50th marathon in November with the New York City Marathon. All Karnazes can say about the lengths he pushes his body too is, “it hurts so much, and your body is saying stop, and you kind of override those mechanisms and force yourself to go on.” Maybe Kanzares will try scaling buildings next. Alain Robert could teach him all about it! 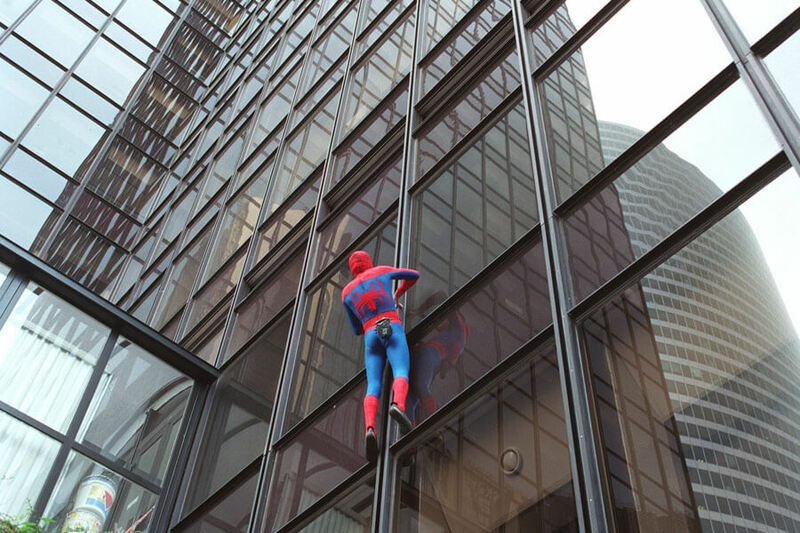 Alain Robert became a global celebrity for scaling skyscrapers wearing a Spiderman costume. Targeting iconic towers, Robert has free-climbed the Eifel Tower, Sears Tower, and more. Most of his climbs take over an hour, and he allows his body no time to stop for rest of food. He is even banned from China for is wall crawling antics. To prepare for his limit-defying stunts, Robert practices techniques that help him better insert his fingers into small crevices and hold on for dear life. The training works, so far Robert is still alive and free. China just hates him. A lot. At seven-years-old, Yang Jinlong decided instead of playing video games or with friends outside he wanted to pull cars. 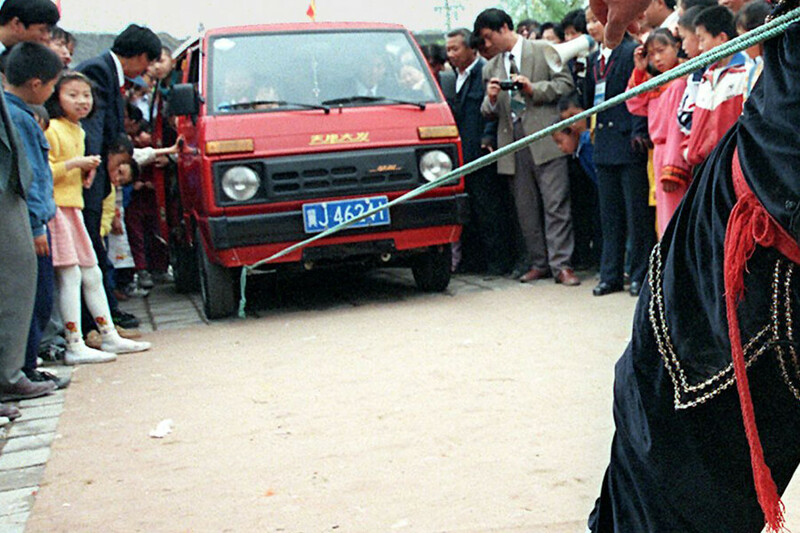 Packing people like sardines into a van, Jinlong pulled the 1.85-ton vehicle with a rope tied around him. No-one knows how strong Jinlong is, but he will only get stronger as he gets older. Most seven-year-olds aren’t 5’4″ and carrying heavy sacks of grain home with them. When asked by reporters how he was so strong, the little boy replied because he was fat. That’s some powerful “fat” he’s hauling around with him!